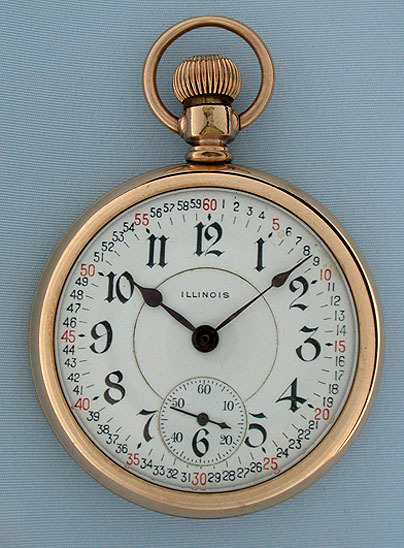 Fine Illinois Sangamo 23 jewel 17/S gold filled railroad watch circa 1912. Bold double sunk Montgomery dial with red and black markings and blued steel hands. Plain polish case. 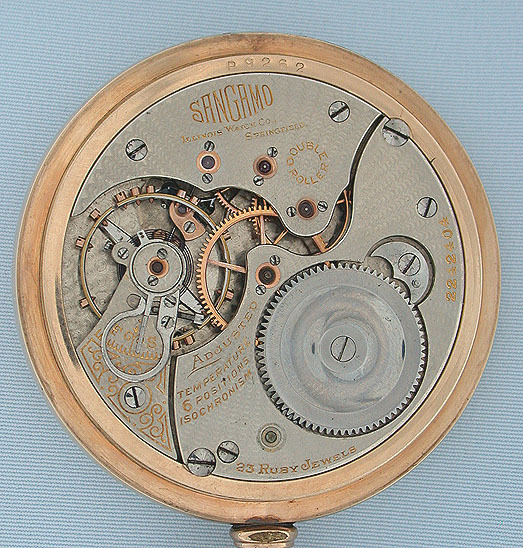 Nickel 23 jewel movement with screwed gold jewel settings and fish scale damascening. damascening.